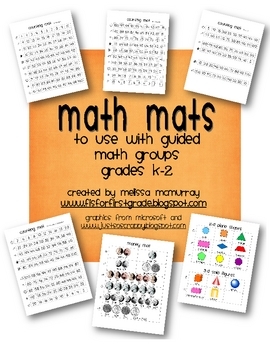 This is a set of 6 "math mats" to be used at the start of small guided math groups (much like guided reading groups) as a warm up. They cover counting and skip counting forward and backward by ones, twos, fives, and tens. 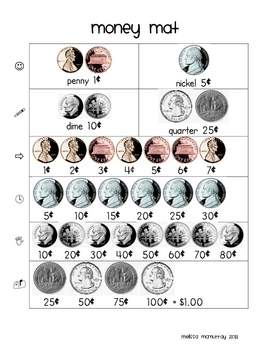 There is also a math mat for counting money and coin identification and one for 2-D and 3-D shapes. 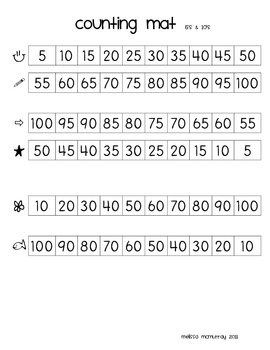 I've included more detailed directions for how I will use these with my students. Also, visit my blog at www.fisforfirstgrade.blogspot.com for more information and ideas for math workshop.